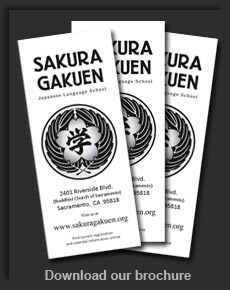 In 1971 Sakura Gakuen was certified by Sacramento Unified School District to issue foreign language credits for high school students. Since then, academic standards have changed and the number of school districts and charter schools in the Sacramento region has increased to create a confusing patchwork of jurisdictions and requirements that can be difficult to navigate. To help students effectively utilize their efforts at Sakura Gakuen to pursue their academic goals, there is a need for some clarification of what Sakura Gakuen can provide and what some of the current collegiate admission requirements are. This is an attempt to begin this conversation. The mission of Sakura Gakuen is to promote the sharing and appreciation of the Japanese language and culture. The school attempts to provide students with the opportunity to learn Japanese to the best of their ability, effort and aspirations. This ranges from basics for travel, conversations with relatives, to high school introductory level equivalents to test preparation for collegiate aspirations. To assist students and families, the school will continue to provide top notch teaching to satisfy a diverse student body, but will steer motivated college bound students to focus on the national standardized tests (AP and SAT) to help them fulfill college admission requirements. The Saturday youth school is not a test prep school, though the skills and knowledge gained from the curriculum can be a solid foundation for the mastery of the Japanese language. As college admission becomes more competitive, there is a growing distinction between high school graduation and college admission requirements. Sakura Gakuen would like to make a very important clarification about the school’s “high school credit”. Some local schools and school districts accept it as a foreign language credit while some do not. It is the responsibility of parents/guardians to work with their school counselors to confirm the current status of acceptance of Sakura Gakuen’s instruction hours as foreign language credits for high school. For those students who attend schools that do accept Sakura Gakuen’s language instruction for credit and who plan to attend a 4 year college in California (UC’s or California State Colleges), you need to be aware that this foreign language credit will only satisfy your foreign language requirement to graduate high school. It will not meet the admissions requirements to enter University of California or California State Colleges, since our classes are not listed under the ”UC satisfied courses”. This means that taking Sakura Gakuen’s Japanese classes as a SUBSTITUTE for one of the foreign languages offered at your high school, you could risk failing into this administrative crack between high school graduation and college admission requirements. Does this mean that all Sakura Gakuen high school students have to take a foreign language class in their high school to meet the college admissions requirements? Not necessarily. See the following FAQ and links for further explanation. Keep in mind that the admission regulations are not static and it is the responsibility of college applicants and their parent/guardians to proactively determine the most current applicable requirements for their situation. The school cannot guarantee that the linked information here is the most current or accurate. College planning is beyond the scope of the school, but studies have shown that some of the tools for success in college and beyond can be gained by studying a second language. Our resources page has links to articles about the benefits of second language study (e.g., social skills, job opportunities and an edge on delaying Alzheimer’s disease). Q: Can I get high school credit for these classes? A: Maybe – Check with your school counselor and school district. • Some schools give credit as a foreign language. • Some schools give credit as an elective. • Some schools give no credit. by providing information on curriculum and credible instructional hours. Q: Can I get credit for Sakura Gakuen if my high school offers Japanese? offers Japanese 1-5 (AP) and will not give credit for Sakura Gakuen classes. Gakuen students have been successful with this approach in recent years. Q: Do these classes satisfy UC foreign language admissions requirements? 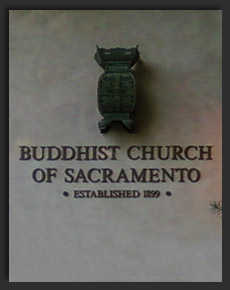 Language and Culture or SAT–Japanese with Listening) accepted by the UC system. Q: Do these classes satisfy CSU foreign language admission requirements? it is not a test prep school. Q: How can I get recognition for the learning done through Sakura Gakuen? A: A solid Sakura Gakuen background can assist with test preparation. with Listening tests can demonstrate what you learned at Sakura Gakuen. It is recommended that students study specifically for the test(s) as the format and coverage differ from the Sakura Gakuen curriculum. 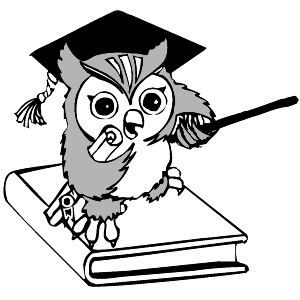 Ask about tutoring options. Q: How can I prepare for the SAT? A: Consult the College Board and your school counselor for more information. Q: How can I prepare for the AP (Advance Placement) tests? A: Consult the College Board and your school counselor or AP advisor. Q: Can Sakura Gakuen classes help me get into college?